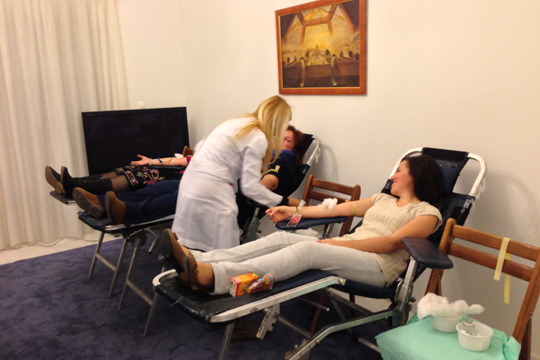 Our collaboration with the Laiko Hospital since 1987 involves blood donation events on a regular basis every year, without fail. The blood bank of Omilos serves the needs of the Laiko Hospital, our members, their relatives and wherever we can be of service. 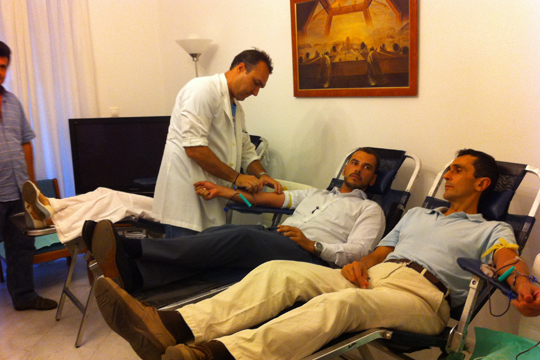 The hospital’s blood donation Mobile Unit comes to Omilos’ premises for the scheduled blood donation events but if one wishes so, one can donate blood directly to the hospital mentioning that it is for the Servers Society’s blood bank.